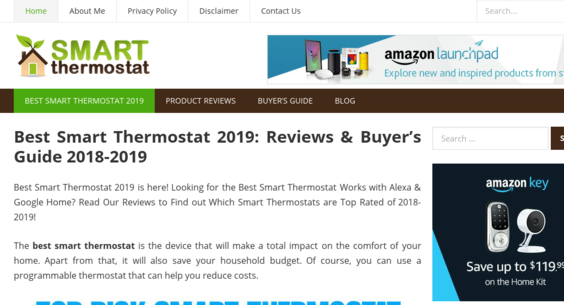 BestSmartThermostatReviews.com — Website Listed on Flippa: Amazon Affiliate Niche Site | Earned $142 Last Month | Growth Potential! Amazon Affiliate Niche Site | Earned $142 Last Month | Growth Potential! All Organic Sales - Amazon affiliate site focused on the tech niche, specifically smart thermostat. Created in Feb. 2018, it is ranking on page 1 for several review posts. 100% Passive earnings.